Viceland’s professional wrestling documentary, Dark Side of the Ring, finally aired Wednesday, kicking off a 6-episode series looking at tragic stories from wrestling’s past. 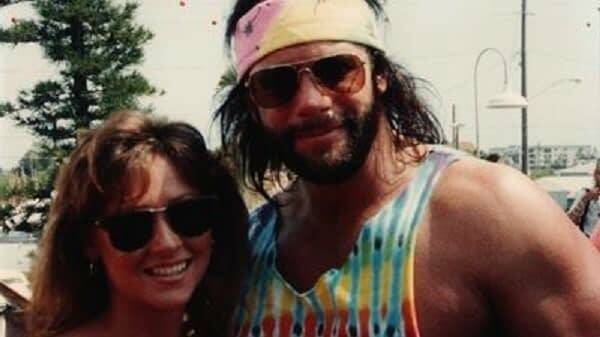 When first announced, Viceland was going to air the Killing of Bruiser Brody episode first, but plans changed since then and the first episode is The Match Made in Heaven, telling the story of Randy “Macho Man” Savage and Ms. Elizabeth. This was a good choice, because of all the wrestlers featured in the series, Savage and Elizabeth are the most well-known, at least for casual audiences. 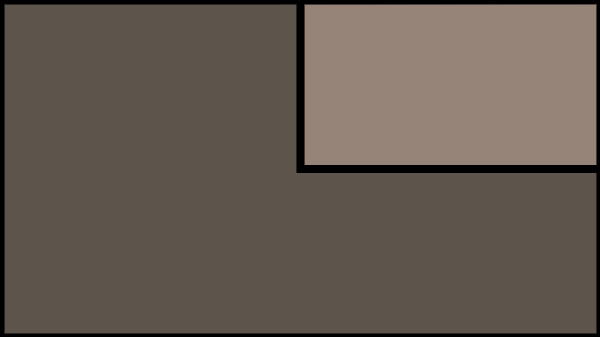 The episode follows the usual formula for a documentary. Talking heads this episode include Bruce Pritchard (Brother Love), Lanny Poffo (Macho Man’s brother), Linda Bollea (Hulk Hogan’s ex-wife), Scott Hall, Jimmy Hart, Jake “The Snake” Roberts, and Eric Bischoff. Footage from pro wrestling, mostly from WWE, is intercut with these interviews and dramatized scenes playing out in blurry shadows. Dutch Mantell narrates. The story of Savage and Elizabeth is pretty well known, though it’s hard to judge how much is general knowledge and how much for me comes from more than twenty years of reading backstage gossip on online dirt sheets. Suffice to say most wrestling fans probably know most of the history covered in the doc, and I didn’t personally learn anything new. 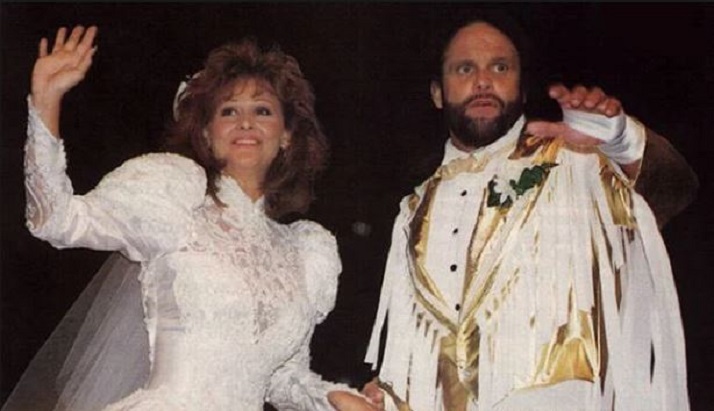 Savage and Elizabeth met and were married six months before Savage debuted in WWF. Their real-life storyline relationship, in which Savage portrayed a controlling, paranoid, jealous partner, belied a real-life relationship where save was a controlling, paranoid, jealous partner. The talking heads mostly excuse this, even Bollea, who was close friends with Elizabeth, as “overprotectiveness.” But the narrative makes clear what it was. After the two married on-screen at SummerSlam 1991, Elizabeth tired of this and eventually left Savage. After their divorce, and with Vince McMahon wanting Savage to take a more passive role as a color commentator, Savage went to WCW in 1996, where he soon got Elizabeth a job. But there, Elizabeth met Lex Luger, who was married with children, and she eventually died on a drug bender with Luger. In the doc, we hear the 911 call. Eric Bischoff was very angry with Lex at the time, but says he respects him now that Lex has taken responsibility for “using drugs to manipulate a vulnerable person” (Bischoff’s words, paraphrased). Less than ten years later, Savage died of a heart attack while driving his SUV with his new wife. The episode will be informative to the casual viewer, and it does a fine job of covering one of the most complex stories in wrestling history, one that spanned three decades, in under an hour. But while there’s no doubt that Elizabeth and Savage both died tragic deaths, this doc’s thesis isn’t entirely clear. Ostensibly, it makes the case that the real-life relationship between these two was exacerbated by its on-screen portrayal, and that their breakup eventually led to at least Elizabeth’s death. But really, their relationship was a toxic one and it was a good thing that it ended. Elizabeth moved on, unfortunately, into another toxic relationship. Savage, seemingly, found happiness at the end, but died, ultimately, as a result of the stress and abuse the pro wrestling business inflicts on its performers. There was no mention of that though, which perhaps explains how Viceland was able to obtain so much wrestling and promo footage owned by WWE. Viceland’s series has the allure of being potentially more honest than docs produced by WWE, but at least in this episode, it doesn’t live up to it. There was unpleasant stuff, but nothing that WWE would be afraid to show because none of it made WWE look particularly bad. Pretty much the only major difference between this and something you could find on the WWE network is the ominous music and overly dark tone of the cinematography that’s like Zack Snyder meets Jerry Springer. Glossed over in the episode was Savage’s bitter feud with Hogan, which included a hilarious (but totally listenable) rap album, or his beef with Triple H, or for that matter the long-standing but never confirmed rumor that Savage’s falling out with WWE had to do with some kind of encounter between Savage and an underage Stephanie McMahon. While no evidence has ever been produced to support that oft-repeated rumor, there’s also never been a good explanation for why Savage, out of all the wrestlers who jumped from WWF to go to WCW in the 1990s, was never welcomed back and denied a Hall of Fame spot until after his death. If you’re a fan of wrestling documentaries, or if you don’t know much about the real lives of Randy Savage or Miss Elizabeth, you’ll find the doc entertaining and informative enough, but for wrestling enthusiasts, the most you can hope for is the pangs of nostalgia when watching old wrestling footage, some good stories told by the wrestling legends (and Linda Bollea), and possibly a flashback to the sad moments you first learned about both of the subjects’ early deaths. Though off to a rocky start, I am looking forward to some of the other episodes, particularly the ones whose stories I know less about.